书籍简介: When Martine’s home in England burns down, killing her parents, she must go to South Africa to live on a wildlife game preserve, called Sawubona, with the grandmother she didn’t know she had. Almost as soon as she arrives, Martine hears stories about a white giraffe living in the preserve. But her grandmother and others working at Sawubona insist that the giraffe is just a myth. 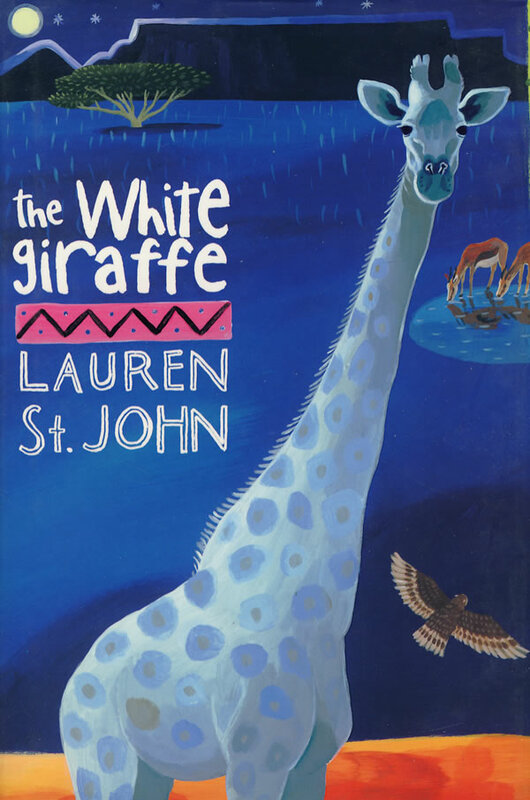 Martine is not so sure, until one stormy night when she looks out her window and locks eyes with Jemmy, a young silvery-white giraffe. Why is everyone keeping Jemmy’s existence a secret? Does it have anything to do with the rash of poaching going on at Sawubona? Martine needs all of the courage and smarts she has, not to mention a little African magic, to find out.